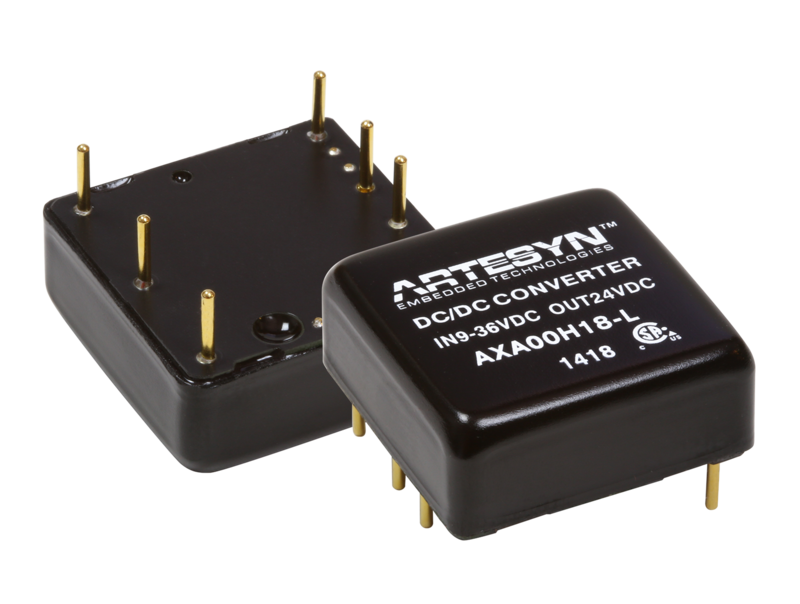 Tempe, Ariz. [12 November, 2015] — Artesyn Embedded Technologies today announced the extension of its AXA family 1x1 inch isolated dc-dc converters to include a new series of 10 watt models. The AXA family is suitable for diverse low power applications in areas such as industrial automation, instrumentation, test and measurement, and telecommunications. A fully potted and metal-cased construction makes the Artesyn AXA series an ideal choice for harsh environments and enables the modules to operate between minus 40 and 85 degrees Celsius. An optional clip-on heat sink is available to extend the thermal performance of the unit in a convection or forced-air environment. 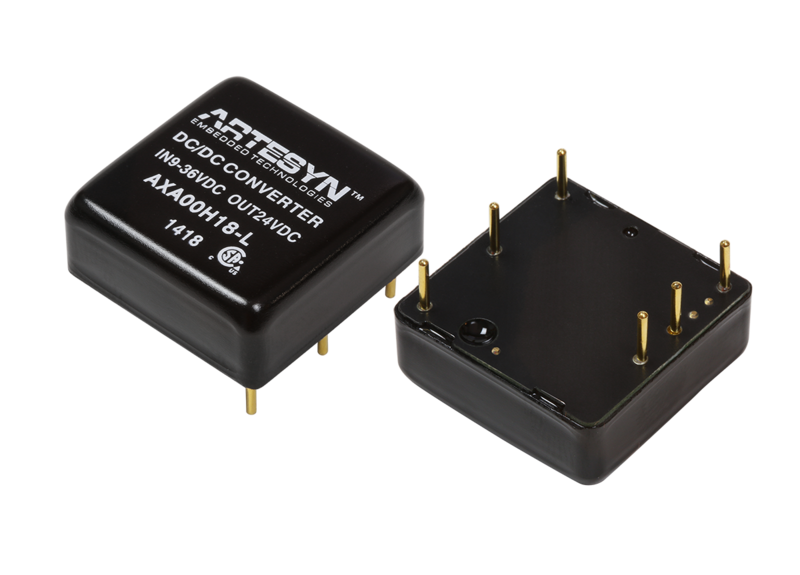 The AXA series of high-input isolated DC-DC converters cover an ultra-wide 4:1 input voltage range of 18–75 Vdc or 9-36 Vdc respectively and are primarily designed for use with nominal 48V or 24V supplies. There is a choice of five single output models, offering single voltage versions of 3.3 V, 5 V, 12 V, 15 V or 24 V and dual output versions of +/-5V, +/-12V and +/-15V. The converters are fully encapsulated in a compact 1 x 1 inch (25.4 x 25.4 mm) metal case incorporating an isolated baseplate and have a height of just 0.4 inch (10.2 mm). The converters offer additional features such as overload protection, remote on/off control and input-to-output isolation voltage of 1500 Vdc. All models are approved to CSA/NTRL/IEC/EN 60950-1 for IT equipment.